This item is one of the best accessories in your tackle box. 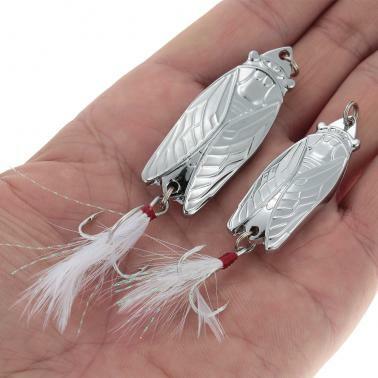 It includes 2pcs sequins lures. 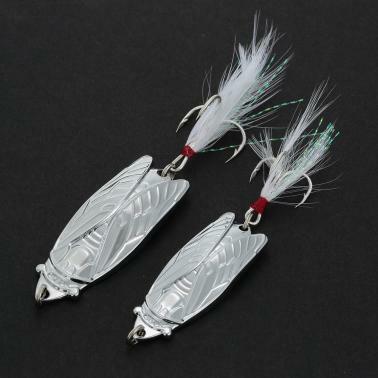 If you are a fishing enthusiast, take this fishing lure and it will increase your catches and bring you much fun. 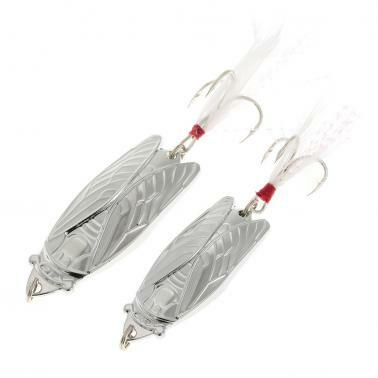 LIFE LIKE: With spiral sequins, dragging pieces of their own body rotation, wide-angle reflectors, greatly enhancing the allure of fish, the best weapon to catch mandarin fish, bass, catfish. 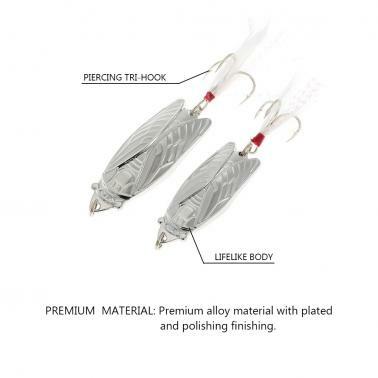 PIERCING TREBLE HOOK: With one treble hook, very piercing and durable. PREMIUM QUALITY: Made with premium alloy material with plated and polishing finishing. EASY OPERATION: Easy operation, also suitable for freshman.